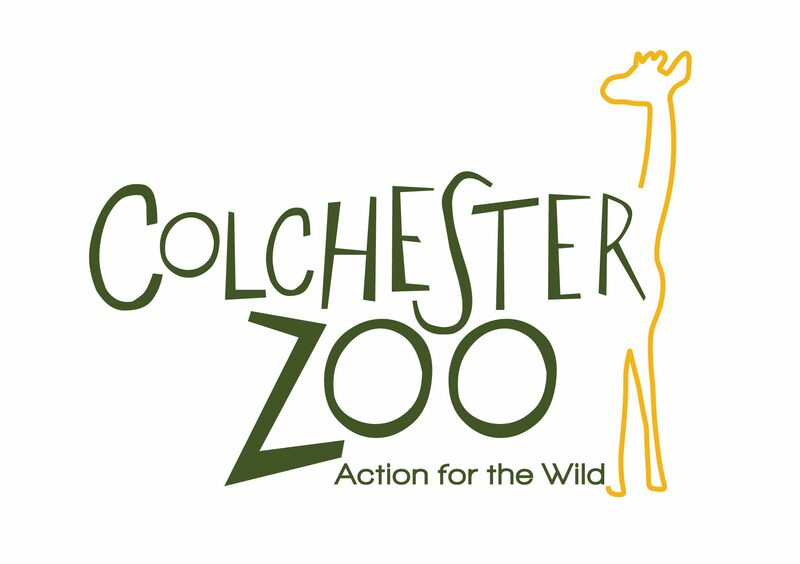 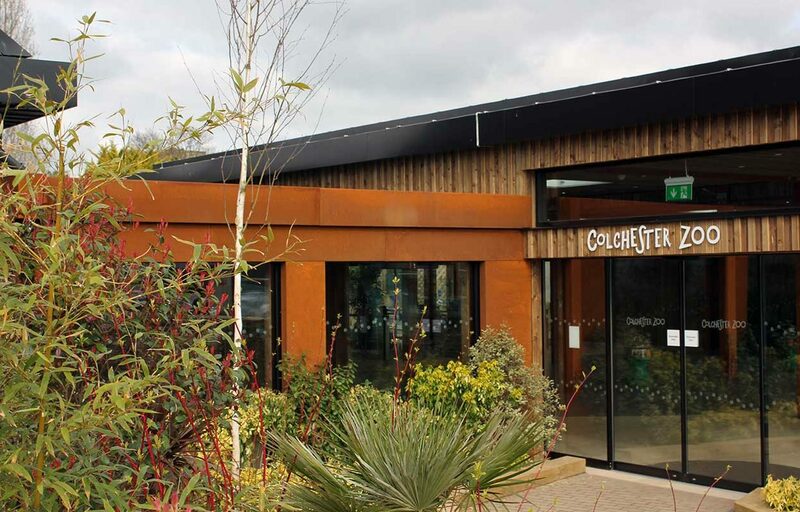 We were delighted to work once again with Colchester Zoo, home to 240 species and set in 60 acres of Essex parkland and lakes, in the construction of the new visitor centre. 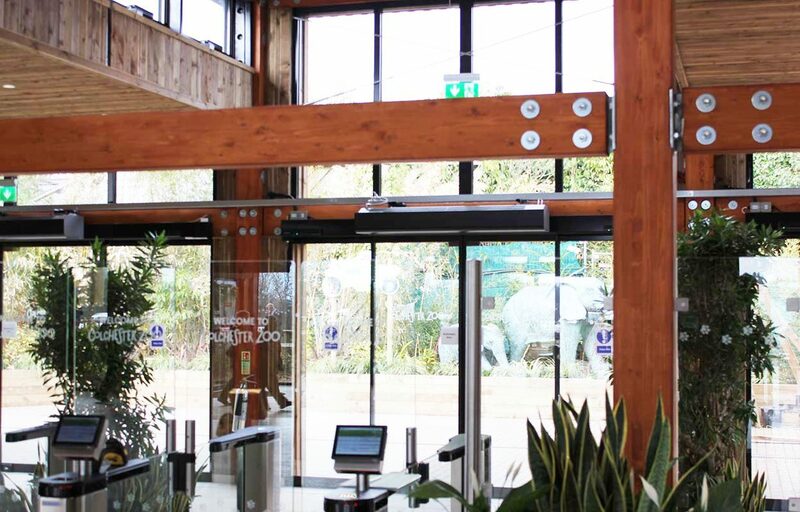 Sited at the front of the Zoo, adjoining the former Essex Barn entrance and adjacent to the lecture theatre, a previous collaboration with Fordingbridge, the new admissions building is designed to optimise visitor experience from the outset, creating instant positive visual impact and reducing queue time by allowing pre-booked and annual pass holders quicker access to the attraction. 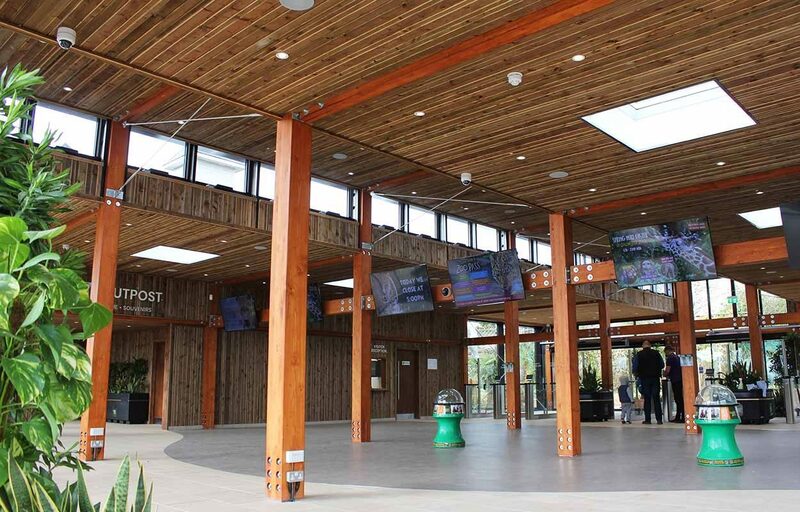 Colchester Zoo is wildly respected for the quality of its animal enclosures, and with humans being the focus of the latest enrichment project, the new admissions building has been designed to maximise natural light with a blend of oversized energy efficient glazing units to the front and rear elevations, and further clerestory windows in the central nave. 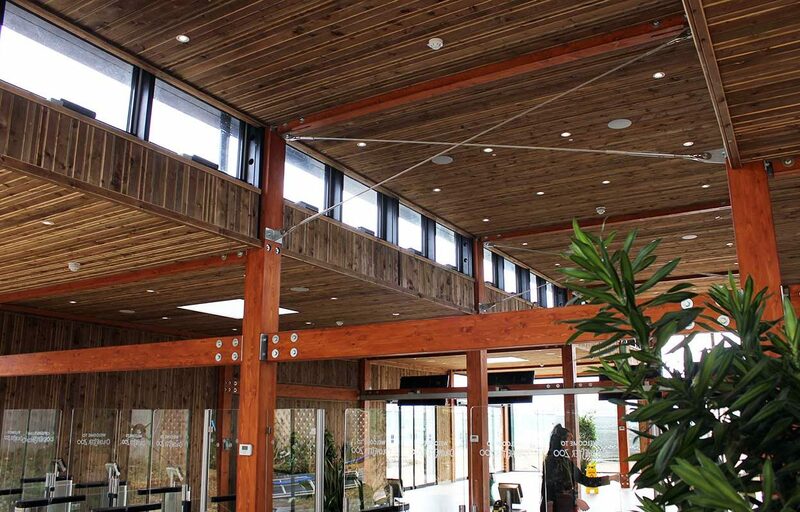 Thanks to the structure allowing for such glazing, the front of the building appears almost transparent, meaning the structural timber beams and columns can be clearly seen among the warm timber cladding inside the centre. 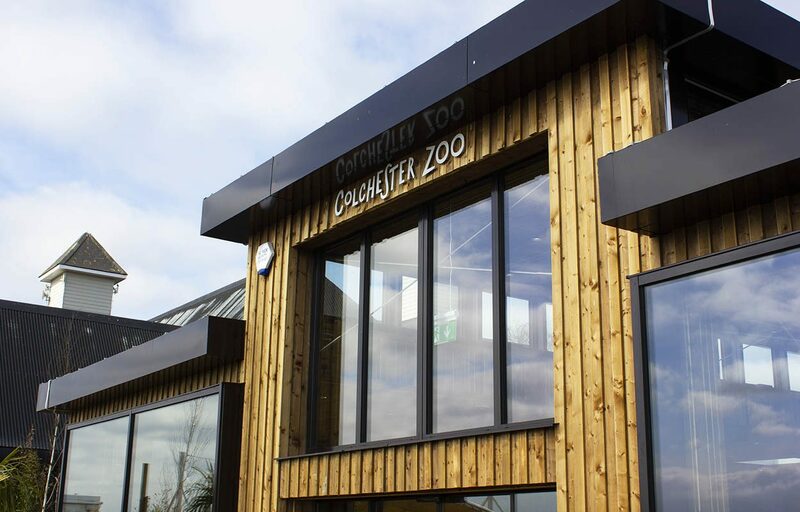 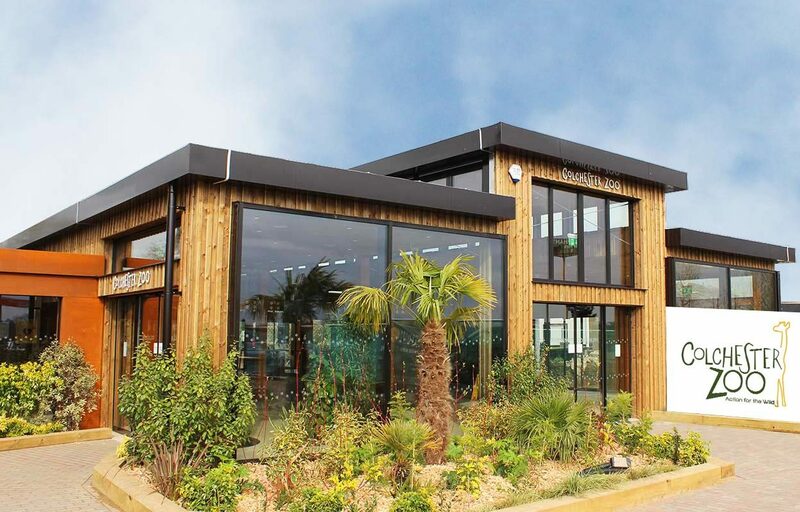 Working with the Zoo’s owner, in-house architect and construction team, Fordingbridge were able to design, manufacture and pre-assemble the majority of components in our West Sussex facility, minimising disruption at the Zoo and ensuring for a faster build time on site. 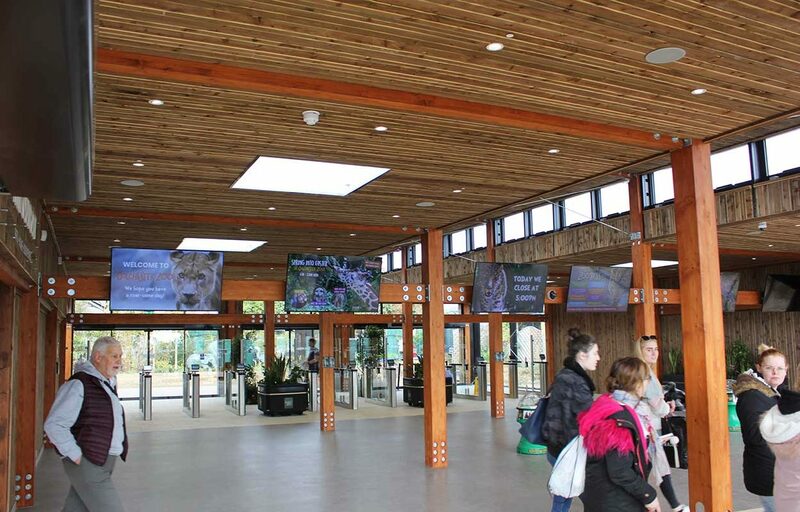 The new layout for visitor arrival and exit not only reduces queue time on entrance, but has now provided for more opportunities on exit, allowing guests more time to browse in the improved gift shop, providing another valuable form of revenue towards the Zoo’s conservation objectives. 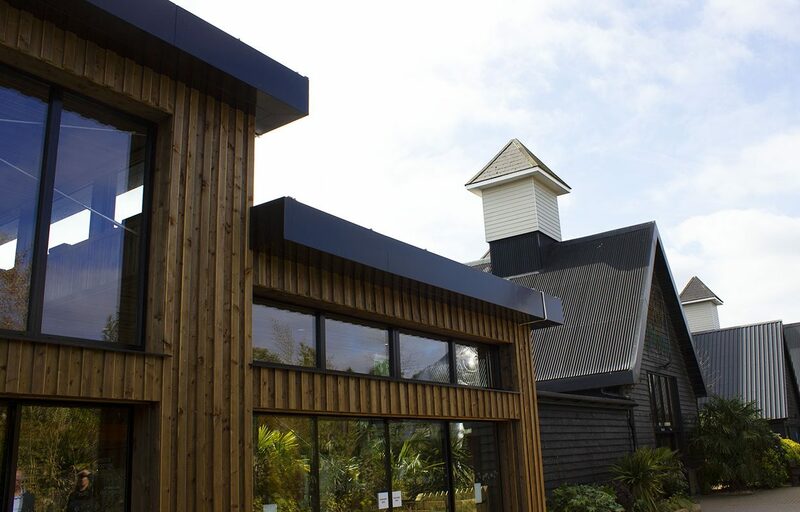 The new centre adjoins the former visitor entrance by means of a glazed walkway, again maximising natural light and still allowing guests to enjoy the exterior landscaping and planting; features echoed by sunken planters in the new buildings entrance.